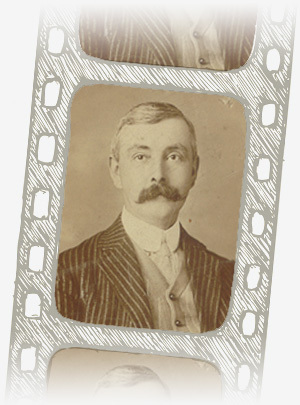 The aim of this site is to celebrate the career of Thomas (“Tommy”) Thompson who was a pioneer of cinema exhibition. Operating primarily in the North East of England, he was one of the top owners of his period starting in 1908 in Middlesbrough with the first permanent film venue in that rapidly expanding industrial town. Very soon he was one of the most significant owners in the country being one of only eight exhibitors in 1917 to own more than ten venues. He sold out most of his sites to Denman Picture Houses Limited (essentially Gaumont) in 1928 but then continued to expand again. By his death in 1948 he had owned around fifty cinemas. Through his career he was a pioneer not just in being one of the earliest exhibitors but in the way he managed his business and made it expand and remain successful. He was for a time a film renter and even dabbled in film production. He set up an ice cream company to supply his sites and an engineering company to maintain the equipment. He was a founder member of the Cinema Exhibitors’ Association and was always involved in national issues, not always taking the popular view but his position was usually vindicated in the long run. This site will look at how he started; how his empire grew; the companies he set up; the people he worked with; his involvement in national cinema issues; and his cinemas and their locations. His career will also be used as a means of looking at wider issues relating to the industry plus social, commercial and economic issues of the day. As this is just the start, if you don’t find what you are looking for, come back and see how we develop. And why “Bug and Flea”? This was the affectionate, yet no doubt true, nickname by locals given to Thomas Thompson’s first cinema, the Cleveland Hall, in Middlesbrough.